In this talk from Wanderlust’s Speakeasy, Faith Hunter, yoga teacher and lifestylist, shares the emotional journey of love and pain that shaped the person that she has become today. Growing up in small town Louisiana, Faith’s early life was touched by the AIDs crisis of the 1980s. At the time, HIV research was still in its infancy, and the fear and misinformation circulating about the how the disease was spread was very real. After Faith’s two brothers contracted the disease from contaminated blood products, she and her family lived with the constant anxiety of being discovered. Years passed, perceptions shifted, and after years of keeping the family’s secret, it finally came out. Faith found this confession freeing, and with the continued support of her community she now helps spread the word through HIV awareness and living a bountiful life. She is the founder and creator of Spiritually Fly, a philosophy that celebrates every moment of life. Using yoga’s tools of sound (both chanting and music), breath, and movement, Faith creates a fresh and modern way to encourage students to embrace their unique flow in life—on and off the mat. 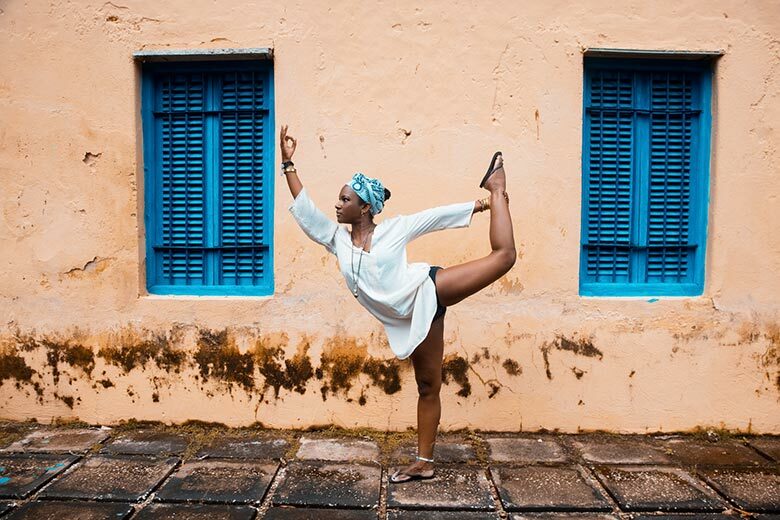 A next generation yoga teacher, Faith blends classic yogic principles and real world personal experiences into an Integrated Flow that is totally grounded and Spiritually Fly.